1) With the new year well underway, state legislatures across the U.S. are reconvening—and you can bet a wide variety of cigar-related bills are up for consideration. In Washington, a smoking ban exemption has been introduced on behalf of tobacco shops and cigar lounges (yes, it’s currently illegal to smoke inside tobacco shops or lounges in Washington). In Virginia and New Jersey, cigar tax hikes are in the works. In Oregon, some lawmakers are hoping to enable municipalities to place additional excise taxes on tobacco. And in Hawaii, banning smoking on beaches, tobacco display regulations, and excise taxes are all being considered. Be sure to keep an eye out for threats to cigar rights in your neck of the woods. 2) Anti-tobacco zealots also continue to push for outdoor smoking bans. The latest fight is in Marshall County, West Virginia, where officials will be voting on a measure that would criminalize smoking in parks, playgrounds, outdoor dining areas, fairs, and festivals. 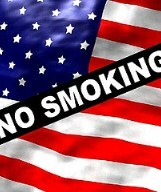 West Virginia does not currently have a statewide ban, but Marshall County prohibits smoking inside restaurants. For now, county bars, tobacco shops, and private clubs are still afforded the freedom to choose their own smoking policies. 4) Around the Blogs: Stogie Review reviews the Tatuaje Apocalypse. Tiki Bar kicks back with a La Gloria Cubana Trunk Show LR-1. Nice Tight Ash checks out an Emilio Series H Maduro. A Cigar Smoker smokes the 601 La Bomba. Cigar Coop fires up an Asylum 13. Cigar Inspector inspects a Ramón Allones Superiores. 5) Deal of the Week: In case you haven’t checked it out yet, here’s a deal created just for StogieGuys.com readers. The “Stogie Guys Cigar Sampler”—offered by longtime supporter Corona Cigar—contains seven cigars for $29.95 (plus free shipping on your entire order). It includes limited edition cigars from Avo and Davidoff, plus cigars from by Rocky Patel, J.C. Newman, Casa Fernandez, and two Corona “house” blends. Pick yours up here. Well I was planning a trip to Hawaii but if this passes I can save my money. I pictured myself sitting on the beach with a cigar. That dream will be dead if this passes. Plus I like to avoid going to places that attempt to control your behaviour when you are on vacation. Hawaii has banned smoking inside bars, restaurants and outside patios (including hotel room patios) since 2006 or so. You won't find the state very friendly to smokers. Florida – Earlier this week, we noted that Representative Travis Cummings and Senator Rob Bradley have introduced HB 141 and SB 258, respectively, which would amend the Florida Indoor Clean Air Act, and allow local governments to restrict smoking. Missouri – Senator Maria Chappelle-Nadal has introduced SB 201 in the Missouri legislature, as a statewide smoking ban. This prohibitionist style legislation bans smoking in all bars, restaurants, and vehicles, as well as repealing all existing designated smoking areas in ‘public places.’ It must, be defeated. New York – CRA OPPOSES AB 450 (and has serious concerns about AB 553) sponsored by Assemblyman Jeffrey Dinowitz, Chairman of the Consumer Affairs and Protection Committee, that would prohibit outdoor smoking in public parks and pedestrian plazas. I will not be spending any money in Hawaii, If enough cigar smokers feel the same way,maybe it will have a little affect on there income from the tourist. Just a note so everyone in Florida can get the right names and numbers when they contact their state reps and senators about proposals to change the state law to allow municipalities to enact their own smoking rules. HB141 has been withdrawn in favor of HB439, an even more comprehensive bill. (FYI: sponsors of both House bills and the Senate bill are Republicans.) The Senate bill has been referred to the Regulated Industries Committee. Check here to see if your senator is on the committee: http://www.flsenate.gov/Committees/Show/RI/ Every Floridian should get involved to defeat these bills.